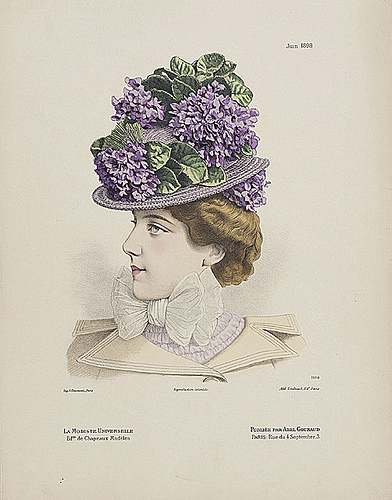 Although Fall River may not have enjoyed the annual Easter Parade famous to Fifth Avenue, New York, Easter Sunday morning was a grand opportunity for ladies to promenade down the aisle in their new chapeau at church, and later in the many parks in the city. Hats were de rigeur during Lizzie’s entire lifetime and she no more would have left the house without a hat on, than have left uncorseted. 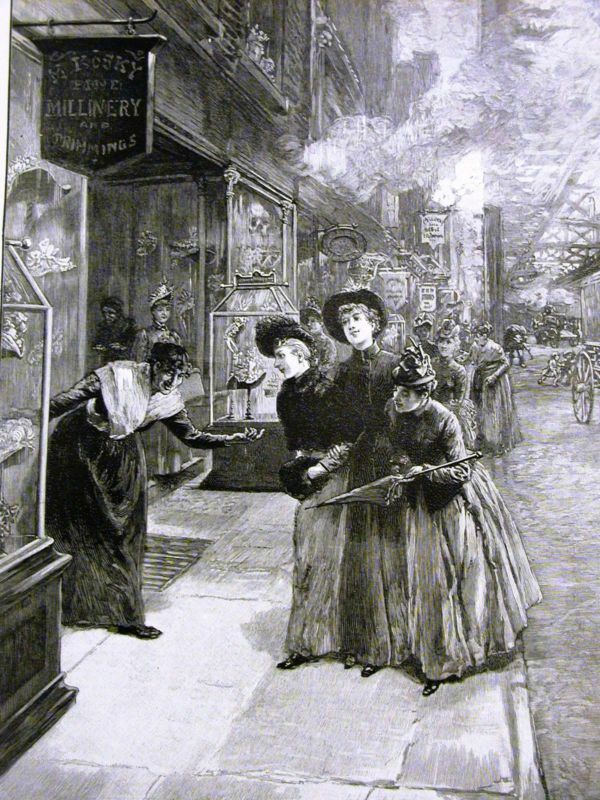 Hats and gloves were the mark of a lady. Lizzie even mentions that on August 4th, the day of the murders, when she returned from the barn loft looking for lead to make sinkers, she put her hat down in the diningroom before discovering her father on the sofa. Lizzie could easily afford a personal milliner when she moved to Maplecroft. Mr. Bump, accompanied by his little daughter, would visit Maplecroft with trims and hat forms when Lizzie needed something new and stylish. She may have subscribed to The Delineator to keep up with all the styles. Fun to think of Lizzie smiling over French ribbon, Italian straw boaters, felt cloches, and boxes of silk flowers and feathers in the comfort of her beautifully-appointed home on the Hill and making her choices for the season’s head adornments.